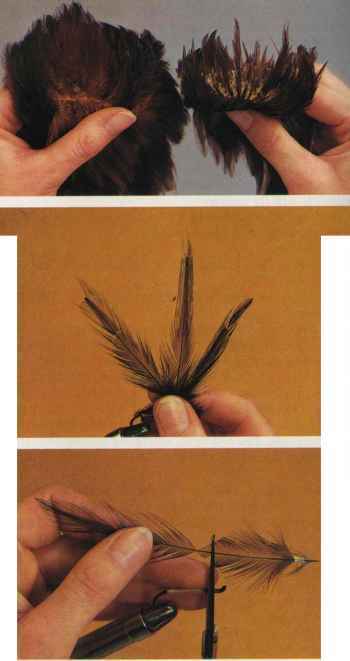 and adjust the drag setting before you fish. It's a good idea to tie the end of your line to a tree or some other solid object, back off a couple dozen feet, and pull to see how and when the drag gives up line at certain settings. Eventually you'll become familiar with your drag and be able to quickly adjust it to the proper setting. All fishing reels operate at certain speeds, meaning that they retrieve varying amount of line when the reel handle is turned. This retrieve ratio is based on the number of times one wrap of line is placed on the reel's spool for each complete revolution of the reel handle. A reel with a ratio of 4.5:1, for instance, puts 4/ turns of line around the spool for each complete turn of the reel handle. Reels used for casting (as compared to those big conventional reels used for trolling big fish) must have some stepped-up gearing, otherwise fishermen would spend most of their time reeling in after a cast. And it would seem that the faster the retrieve rate, the better, because fewer turns of the handle are necessary to bring in line, which makes reeling a less tiring activity. 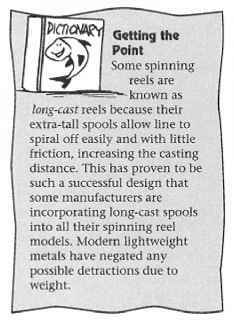 To a point, this is true, and modern reels have higher ratios than before. High-speed reels allow anglers to bring in lures very quickly with minimal effort. 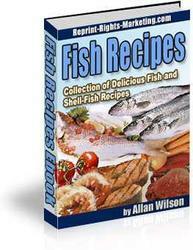 And in some fishing situations, the lure or bait is in the fish zone for only a small amount of time. High-speed reels therefore allow the angler to reel in quickly and recast once the lure or bait is out of a fish's reach.